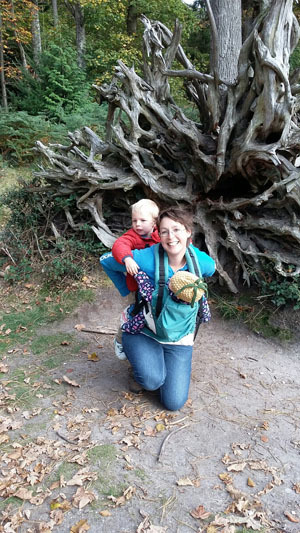 New Forest | "Keep Running Mummy!" They’re just not the same once you have young children, are they? The words ‘relaxing’ and ‘restful’ just don’t come into it. Because whether you’re at home, or in a cottage in the countryside, or even (I imagine) at a luxury beach house in the Seychelles, your little ones will still need to eat, play, poop and sleep. This means while you’re away, all the usual meal preparing, food throwing, face wiping, floor mopping, dish washing, nappy changing, bottom wiping, Lego playing, rocking, shushing and night waking will come along for the ride, too. Except now you don’t know where the sodding saucepans are. And you can’t remember whether you packed the wipes. 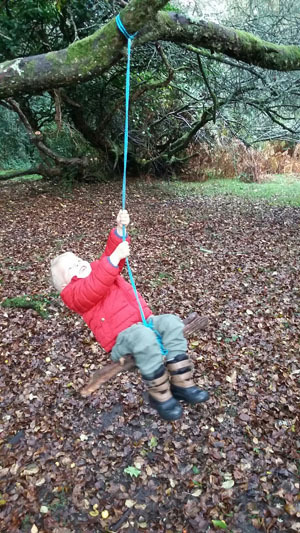 We have recently returned from a week’s holiday in the New Forest. And while I was still a tad exhausted on our return home (see above), it was wonderful, actually. I felt really bloody happy. We had zero phone reception and questionable WiFi where we were staying, so we felt fairly cut off. Which was great. It helped me see what was important. We spent our time walking through the forest. 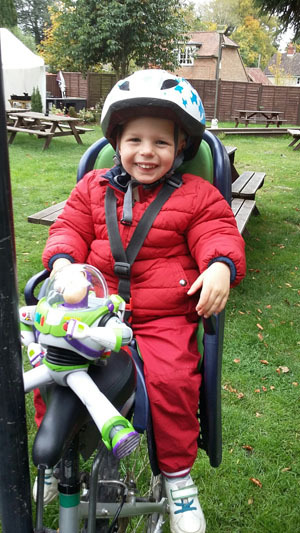 We went cycling – my husband pulling the baby in a trailer; me with the toddler on a bike seat (this would have been pretty relaxing, had it not been for the fact that Buzz Lightyear came along for the ride and spent the duration jabbing me in the arse, while my son pressed every available button every three seconds for FOUR HOURS, informing me that Buzz Lightyear was coming to the rescue. Shut up Buzz. Just shut up). We found makeshift swings hanging from tree branches; we splashed in puddles; I got two hours to myself to go horse riding; we let the kids stay up late so we could go for dinner in the cosy local pub and, on our walks back to the house in the dark, wrapped up warm from the cold, we pointed out the Big Dipper in the sky, to a little boy who was astounded by the stars. And yes, we made an obligatory visit to Peppa Pig World, after which my husband and I needed therapy, but the toddler loved it, so it was worth it. Just. All aboard Grandpa Pig’s boat! In short? It was the type of holiday memories are made from. It helped that the weather was kind – bright and sunny and crisp; and yes, we had extra family on hand, in the form of my father-in-law, sister-in-law and her fiancé (who provided the sort of loving, wonderful help that made me want to stick up a For Sale sign once we got back home and move in with them permanently). And you know what? All the mealtime madness and nappies and mess? It kind of felt like small fry when set against the fact I got to spend so much precious time with the most important people in my world. 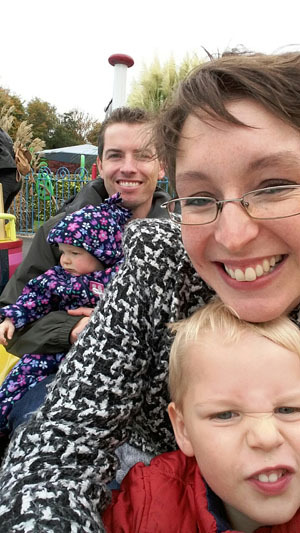 This entry was posted in Adventure and tagged baby, children, cycling, family, happiness, holiday, horse riding, love, memories, New Forest, Peppa Pig, walking on November 1, 2015 by Claire.